Landon Dorch longs to play football and he is definitely built for the game. Unfortunately, two things stand in his way: his mother's worries, and the fact that he is deaf. Landon hopes that the family's move to a new town will offer him a fresh start, and that he can leave behind the teasing and taunts that marred life at his former school. But his speech problems and his cochlear implants seem to invite bullying. Luckily, he is not without help, starting with his loving and quirky family and then a great new friend on the team. Even so, in the end it will be up to Landon himself to battle his way past bullies and misunderstandings until he is no longer left out. 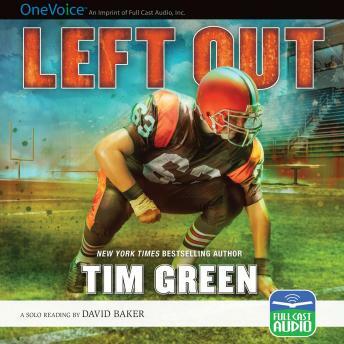 Author Tim Green scores again with this masterful and heartwarming story of family and football!